Join us on Easter Sunday for a fun & delicious Easter Buffet with Sonic the Hedgehog! 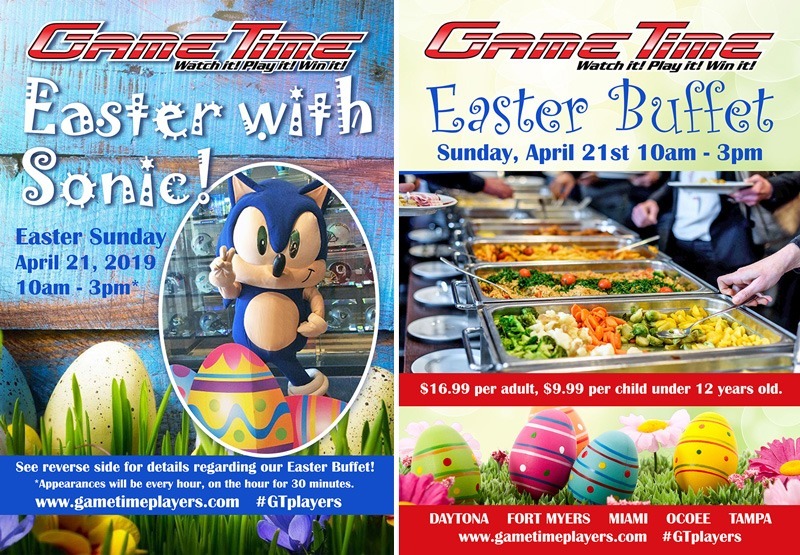 Take a picture with Sonic the Hedgehog and enjoy a delicious buffet on Easter Sunday, April 21, 2019 from 10am – 3pm. Great food, entertainment for all ages; GameTime is perfect for the whole family!